Join us in welcoming Blue Ray Springwater to our Artist roster at My Music Matters-MT. They will provide promotion and booking support for this Netherlands duo. 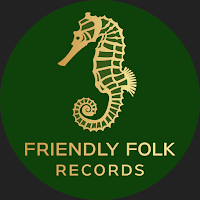 Although not quite ready to release music at our label, but we will be in discussions over next few months about releasing music at Friendly Folk Records. Blue Ray Springwater is a dynamic duo featuring Riny Sprengers and Bart Gooren. Their music is melodic, contemporary folk by nature with themes of humanistic battle songs that bring new hope into this often crazy world where people and opinions tumble over each other. Their debut album, Brotherhood was well received in Netherlands, prompting appearances on local radio, and at local pubs and cafe stages.